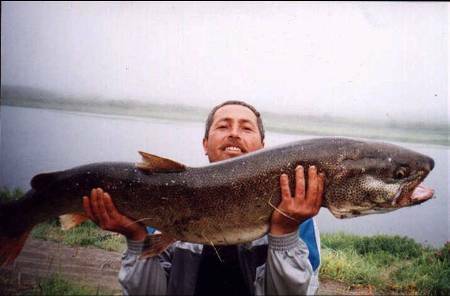 A Conservation Action Plan (CAP) focused on Sakhalin taimen, the world's largest salmonid, will be prepared for the Langry and Bolshaya basins in Northwest Sakhalin. The CAP process assists and informs the conservation of particular species or environmental systems by guiding the determination of existing threats to conservation target(s) and the development of strategies and monitoring measures that address these threats. Initial implementation of the monitoring plan will define the current health of the region's Sakhalin taimen. On the basis of these findings and existing knowledge, a framework for the long-term study and conservation of the region's unique Sakhalin taimen habitat will be created.